3,610 SQ FT ON LARGE LOT IN MESA! 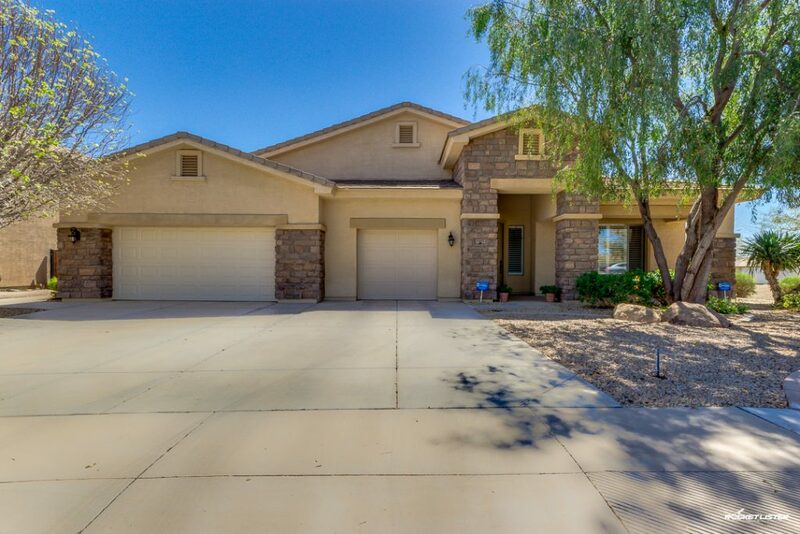 Pristine 4 bedroom plus den, 3 bath, home in prime Mesa community of Gila River Ranches. Featuring formal living and dining room, spacious open family room w/ cozy fireplace, plantation shutters, surround sound throughout, and lots of extra storage. Upgraded gourmet chefs kitchen with granite counters, large island with breakfast bar, double wall oven, gas range, and ample cabinet space. Huge master suite has a big walk-in closet, separate soaking tub and walk-in shower, water closet, and dual sinks separated by a built-in vanity. Arizona room leads out to the backyard oasis with covered patio, paver walk ways and extended patio, artificial grass, mature citrus trees, and lush landscaping. 3.5 car garage with built-in cabinets and epoxy floors. On large corner lot across the street from neighborhood park with lots of grassy areas, basketball, playground, ramada, picnic table, BBQ, and mountain views.